Parma is blanketed in snow, but this pristine, white veneer cannot mask the stench of corruption. Its officials are no longer working for its people - only for themselves - crime is out of control and resentment festers in every district. 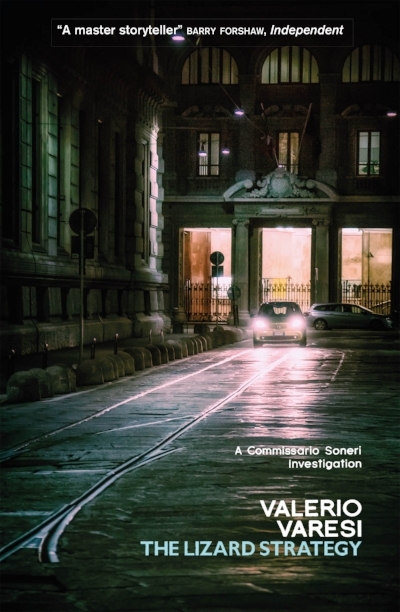 Commissario Soneri remains at heart an idealist, so the state of Parma wounds him more than most. And now he is presented with three mysteries at once, each more impenetrable than the last. In a river creek on the outskirts of the city, tipped off by a local, he finds a mobile phone that rings through the night but holds no data; an elderly patient with senile dementia is reported missing from a hospice; and the mayor of Parma, who was reported as taking a holiday on the ski slopes, has disappeared off the face of the earth - just when he seemed certain to be implicated in a seismic corruption scandal at city hall.